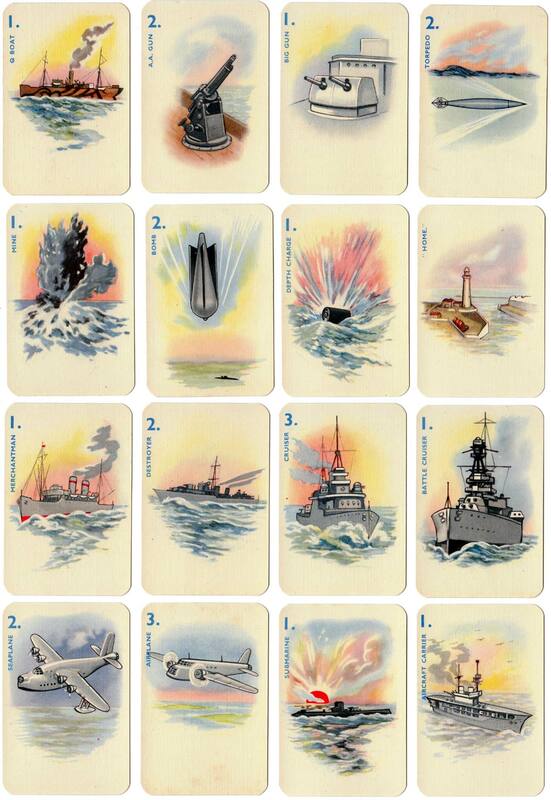 Above: “Convoy” WW2 card game published by Tree Brand c.1940. 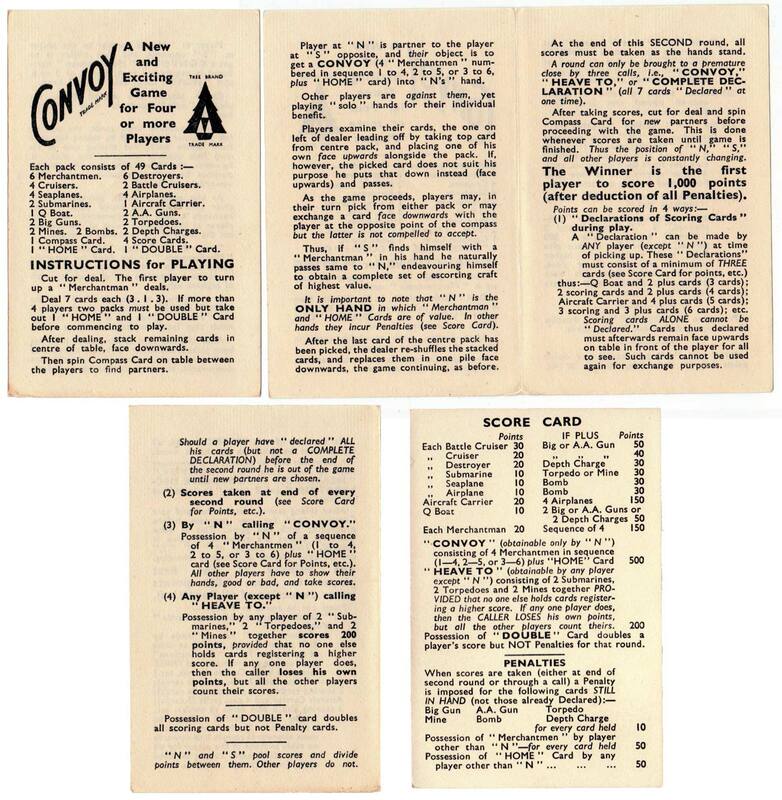 49 cards in box including compass and score cards. Players take it in turns, in partnership with another player, to run wartime naval convoys. 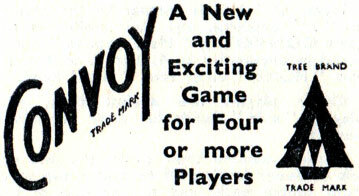 The two ‘convoying’ players are chosen at the beginning of the game by spinning the 'Compass' card. The other players try to stop the convoy getting through by collecting certain other cards (mines, torpedoes, submarines etc). Images courtesy Rex Pitts.